Homeschooling options continue to rise. Home schooling is on the rise. There are many reasons for this, not the least of which is unhappiness with some school curriculums. Many families are choosing to teach at home. Parents have a right to raise their children in an environment that supports their values. When a parent does not feel those values are supported by their school, they will often turn to home schooling. But there are also a lot of other reasons why home schooling may be used to educate a child. Sometimes home schooling is chosen simply because the parent feels he or she can do a better job structuring the information for the child. Schools are under budgeted. They cannot offer all the honors or special education classes that are needed. Parents decide to focus on a Christian curriculum. Teachers do the very best they can to make sure all students in their class get the attention they need, but sometimes the job is simply overwhelming. The days of the proverbial one room schoolhouse are not over! Home schooling is just the simple schoolhouse adapted to the home environment. Home schooling is an effective means of teaching a child at the pace they are able to learn. In most states, an umbrella school monitors the progress. Teaching at home requires preparation and a need for appropriate materials. Home schooling means a time commitment and a willingness to stay home to teach rather than work outside the home. It is a big decision and deserves the best preparation possible. The days of teaching children out of covered wagons or around campfires are long gone. But the principles of instruction have not changed. When teaching children at home, the program must be comprehensive. The parent or tutor must be able to teach all subjects. 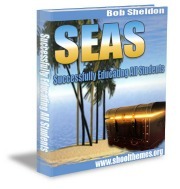 There is a wealth of instructional aids available to insure home schooling success. 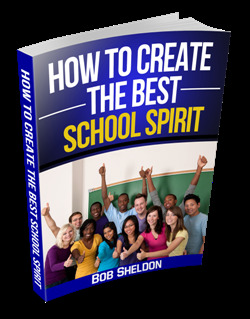 Home schooling materials are available as software, online programs, books and DVD’s. At one time, parents who homeschooled their children had little assistance. That is not true today. Online there are hundreds of ways to make the home schooling experience educationally stimulating and successful. The homeschooling need and available resources extend well beyond the borders of the United States. There is no reason to feel isolated. Home schooling is seen as the only option for some parents. With computers, a whole new level of instruction is possible, eliminating doubts as to the possibility of success. Home school programs offer many paths for the homeschooled. Home schooling is not for everyone. But for those who decide that home schooling is the only acceptable alternative, the end result can be a successful education for their child. Let the learning begin today. 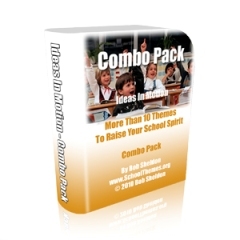 Leave Homeschooling and Select Your School Theme!